ATG TICKETS - LION KING - BOOK NOW & PAY NO BOOKING FEE! Welcome to the latest newsletter from Silverbean and ATG Tickets. The award-winningwest end show The Lion King, is miraculously brought to life in Lodon's West End, with a cast of over 40 actors, singers, and dancers. Book now see The Lion King and pay No Booking Fee. Valid on Tuesday to Friday evenings from Tuesday 26th April 2016 until Friday 3rd June 2016, and 2.30pm matinees on Saturdays and Sundays from Saturday 7th May 2016 until Sunday 4th September 2016. Book by Sunday 22nd May 2016. Tickets are now on sale and are available from £37.70 - £125.00 (no booking fee) - get your The Lion King tickets today! If you have any questions in regards to this please do not hesitate to get in touch with Nic Yates. to announce a new show coming to Trafalgar Studios in May – The Spoils! comedy, not to be missed! life, including his roommate Kalyan, an earnest Nepalese immigrant. banker, he sets out to destroy their relationship and win her back. regards to this please do not hesitate to get in touch with Nic Yates. Nic Yates at Silverbean, and he will be happy to help. ATG TICKETS - THE END OF LONGING & TOM THE MUSICAL OFFERS! ATG Tickets have a closing offer on The End Of Longing at The Playhouse Theatre. For Monday to Thursday performances until Thursday 28th April users can receive a free glass of Prosecco with Premium and Band A seats. To promote this offer direct traffic to the production page listed below and ask the user to enter the code LONGING when selecting seats. Couple) leads the cast in the World Premiere of his playwriting debut, The End of Longing, at the Playhouse Theatre, London, until 14th May 2016.
their first West End collaboration on Sexual Perversity in Chicago at the Comedy Theatre in 2003.
irreversibly entwined in a rollercoaster journey that forces them to confront the darker sides of their relationships. A sharply written and hilarious dark comedy, The End of Longing, will make you realise that broken people don’t need to stay broken. 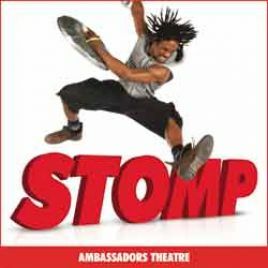 Theatre, Richmond Theatre and The New Alexandra Theatre Birmingham, just £15 per ticket! Simply enter the code TOM15 when selecting seats. Featuring hits of the era including Ghost Riers in the Sky, Spanish Harlem and Lucille, we track Tom’s climb to stardom. Ending with some the hits that made him one of the most charismatic stars of the day: It’s Not Unusual, Delilah, Green, Green, Grass of Home, What’s New Pussycat and more. LOVEtheatre are pleased to announce they have fantastic February offers available on the following West End productions, Bad Jews, Wicked and People Places and Things. These offers will expire at the end of February so do not miss out and book your tickets today! BAD JEWS - FLASH SALE ENDING SOON! BAD JEWS returns to the West End for a 6-week run at the Theatre Royal Haymarket, after sell-out seasons at the St James Theatre and Arts Theatre. The comedy hit of 2015, Joshua Harmon's BAD JEWS stars Ilan Goodman (Liam), Ailsa Joy (Daphna), Antonia Kinlay (Melody) and Jos Slovick (Jonah). In BAD JEWS a beloved grandfather has died and a treasured family heirloom is up for grabs. But who is most deserving of it? Bossy, overbearing, fanatically religious Daphna? Her wealthy cousin Liam who’s just returned from skiing with his non-Jewish girlfriend Melody? Or Jonah, his brother, who would prefer not to get involved in the fight. Age recommendation: 14+ (strong language)Save up to 56% off tickets, prices start from £15, top price seats from £35 - No fees! At the Theatre Royal Haymarket, this offer ends Sunday 28th February so book your BAD JEWS tickets today! WICKED, the West End musical phenomenon packed with thrilling technical wizardry, dazzling costumes and show-stopping songs, has been acclaimed as “a wicked and wonderful vision of Oz” (London Evening Standard) and “a magical story of friendship, love and growing up” (Official London Theatre).Based on the acclaimed novel by Gregory Maguire that ingeniously re-imagined the stories and characters created by L. Frank Baum in ‘The Wonderful Wizard of Oz’, WICKED tells the incredible untold story of an unlikely but profound friendship between two sorcery students. Their extraordinary adventures in Oz will ultimately see them fulfil their destinies as Glinda The Good and the Wicked Witch of the West. Save up to 37% and exclusive upgrades available from top seat value (£67.50) for £47.50! Experience this unforgettable musical and discover that you've not been told the whole story about the Land of Oz… this offer ends on Monday 29th February, so book your WICKED tickets today! Fresh from an acclaimed sold-out season in National's Dorfman Theatre, PEOPLE, PLACES AND THINGS by award-winning playwright Duncan Macmillan (1984) transfers to the West End for 14 weeks only from 15 March 2016. The acclaimed new play is directed by Jeremy Herrin (Wolf Hall, Bring Up the Bodies, The Nether) and stars Denise Gough, reprising the role that recently her the Critics’ Choice Best Actress award. Emma was having the time of her life. Now she's in rehab. Her first step is to admit that she has a problem. But the problem isn't with Emma, it's with everything else. She needs to tell the truth. But she’s smart enough to know that there’s no such thing. When intoxication feels like the only way to survive the modern world, how can she ever sober up? A collaboration between Headlong and the National Theatre, following the acclaimed Earthquakes in London and The Effect. Save up to 45% off tickets, prices start from £15, top price seats from £39.50 - No fees! 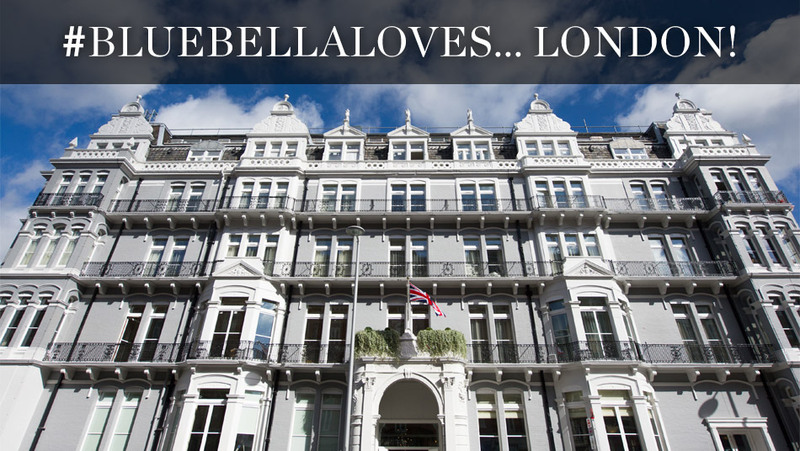 At Wyndham's Theatre from 15 March until June 2016, this offer is only available until Monday 29th February so make sure to book your PEOPLE, PLACES AND THINGS tickets today! A trip to the theatre could be the perfect gift for that special someone this Valentine's Day. With categories such as: Burning Passion, Music Lovers, Old School Lovers, Famous Faces and Popular Picks, there will be a show to wow your Valentine. 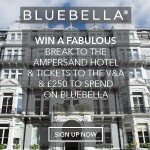 Browse below to find a show and choose Ambassador Experience packages to enjoy VIP lounges and champagne and chocolates on arrival at the theatre. Happy Valentine's Day from ATG! ATG Tickets are pleased to announce that Doctor Faustus will be coming to the Duke of York Theatre from the 9th April till the 4th June. Starring Kit Harrington (from Game of Thrones), directed by Jamie Lloyd. propels Christopher Marlowe’s legendary tale Doctor Faustus into the here and now in an explosive and magical new production starring Kit Harington (Game of Thrones) in his long-awaited return to the London stage. world of celebrity, as he becomes a world-renowned conjuror, international heartthrob and friend of the rich, famous and powerful. But what is the cost of his insatiable thirst for wealth and fame? a fresh perspective that chimes with our times. Tickets are available from £15 - £85. Showing at the Ducke of YorkTheatre from Saturday 9th April until Saturday 4th June. Disneyland Paris1 Day/2 Parks Hopper Tickets are perfect for those with limited time in Paris. The 1-Day/2 Parks Disneyland Paris Hopper Ticket gives you access to both Disneyland Park and Walt Disney Studios Park for one day, with the ability to hop between both Disney parks, so you can experience all the amazing rides and shows available at Disneyland Paris. Use of Disney FASTPASS system. An evening at The Woman in Black wouldn't be complete without a pre-show meal. With our great value dinner & show packages, you won't have to worry about rushing to the Fortune Theatre or missing the opening scene. ATG TICKETS - EXTENDED WEST END RUN FOR FIVE STAR GYPSY! ATG Tickets are pleased to announce that the five star critically acclaimed production of Gypsy is extending its run in the West End Savoy Theatre until 28th November 2015. Tickets are available for shows Monday - Saturday from £24.50 - £69.50. There are no booking fee or transaction charges when tickets are booked direct with the box office, ATG Tickets. Please see below for further details and more content to promote on site today. Gypsy is considered by many to be the greatest of the Broadway musicals. 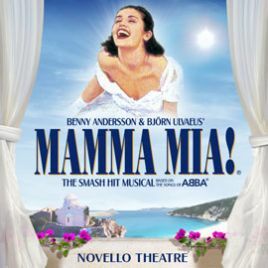 It tells the true story of ambitious showbiz mother Rose (Imelda Staunton), who treks across America with her daughters Baby June (Gemma Sutton) and Louise (Lara Pulver) in search of success with their homespun vaudeville act. As times change, Rose is forced to accept the demise of vaudeville and the rise of burlesque, as well as her daughters’ quest for autonomy. Peter Davison is the human heart of the show’ ‘Lara Pulver is like a butterfly emerging from a chrysalis’ 'It's a Mother of a Musical! ATG Tickets are pleased to offer affiliates double commission on all Women On The Verge of a Nervous Breakdown Ticket Sales. That is a massive 10% commission. This exclusive double commission is available from Monday 13th April until Monday 11th May. After recently reviewing the affiliate commission structure for ATG Tickets we have found that we are not in line with industry guidelines. Due to this we have since reviewed the current tracking code on ATG Tickets to refer sales minus VAT to Affiliate Window. This is in line with industry guidelines as merchants are not expected to pay VAT on a sale in addition to that on affiliate commissions. Women On The Verge of a Nervous Breakdown celebrates women centre stage at the Playhouse Theatre, London and stars Olivier Award-winning actress Tamsin Greig (Episodes and Green Wing). If you have any questions in regards to the above change please do not hesitate to get in touch. Silverbean are currently working hard to improve ATG and affiliate relationships. If you would like to work closer with ATG tickets please do not hesitate to get in touch with Nic Yatesand Nichola Howard. We are more than happy to discuss affiliate partnerships for ATG Tickets. Please take a look at some great deals this month at TheatrePeople.com! ATG TICKETS - Valentine's Day Welcome to the latest newsletter from ATG Tickets and Silverbean. As Valentine's Day quickly approaches promote ATG Tickets to your users today! With 42 performances falling on Valentines Day this year promote ATG Tickets as the perfect date. ATG Tickets are the joint largest ticketing company in the UK. They have 39 venues across the United Kingdom meaning no matter where your users are based they can treat a loved one to a local performance. From Calamity Jane, Comedy Club, Dance 'Til Dawn, Dirty Dancing, Dirty Rotten Scoundrels, Jersey Boys, Once, Lion King and many many more check out your local theatre to see what's on today. ATG Tickets are delighted to announce the launch of two new Regional Tours – the hit musicals Spamalot and Dirty Rotten Scoundrels. Touring the major cities of the UK, Monty Python's Spamalot is at a theatre near you from Thursday 15th January until Saturday 20th June. The Dirty Rotten Scoundrels Tour starts touring on Tuesday 5th May and runs until Saturday 26th September. See below for more details and information to use on site. Monty Python's Spamalot is coming to a city near you! Lovingly ripped off from the classic film comedy Spamalot tells the legendary tale of King Arthur and the Knights of the Round Table and features a bevy of beautiful show girls, witch burning not to mention cows, killer rabbits and French people. The show features fantastic tunes and more magic than a Camelot convention. 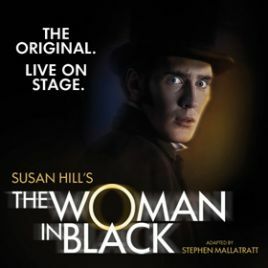 The Tour starts on Thursday 15th January and runs until Saturday 20th June and will play in the following locations; Manchester, Richmond, Birmingham, Oxford, York, Cardiff, Woking, Edinburgh, Brighton, Southampton, Aylesbury, Bromley, Liverpool, Sunderland, Glasgow, Wimbledon, Milton Keynes. Promote this fantastic tour to your users today with performances across the UK. Dirty Rotten Scoundrels The Musical is a classic tale of decadence and deception on the French Riviera based on the classic comedy film of two seasoned swindlers attempting to hoodwink a millionaire heiress. As the pair compete in the true art of the con, they discover there is only room for one of them. Sophisticated, suave with a good dash of mischief, this is set to be the finest night out of 2015. The Tour starts on Tuesday 5th May and runs until Saturday 26th September and plays at Birmingham, Manchester, Sunderland, Glasgow, Liverpool, Torquay, Stoke on Trent, Oxford and Edinburgh. If you have a user base in any of these key cities promote this fantastic show today. ATG Tickets are pleased to announce the New West End Musical - Women on the Verge of a Nervous Breakdown. Running at the Playhouse Theatre, London until 9th April 2015, it stars Tamsin Greig from Episodes and Haydn Gwynne from Billy Elliot. Women on the Verge of a Nervous Breakdown starring Tamsin Greig from Episodes and Haydn Gwynne from I is a hilarious and heartfelt musical based on Pedro Almodóvar’s award-winning trailblazing film which celebrates women centre stage at the Playhouse Theatre, London. 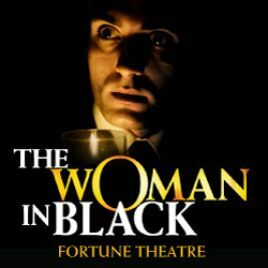 Running until 9th April 2015, get your tickets early to avoid disappointment. Dirty Rotten Scoundrels – The Musical is coming to an end at The Savoy Theatre in London’s West End. The classic comedy show stars Robert Lindsay and Alex Gaumond as two seasoned swindlers attempting to hoodwink a millionaire heiress. As the pair compete in the true art of the con, they discover there is only room for one of them. The show will run until Saturday 7th March promote onsite today! WIN Gibson guitar signed by SLASH!!! Also tickets to see him play in Dublin – LAST WEEK! Thanks for all your support on making the launch of our new hmv Ireland website - www.hmv.ie such a success. hmv.ie offers tens of thousands of movies, games, music and more. We are the Home of Entertainment and have big plans for our new online operation. Bearing that in mind, we wanted to remind you that we often have EXCLUSIVE deals that you can't get anywhere else. Until Thursday 11th September, we are offering one lucky person the chance to win a signed Gibson guitar by SLASH!! 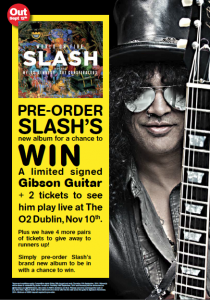 The winner will also get 2 tickets to see Slash at the newly named Three arena in Dublin on November 10th. 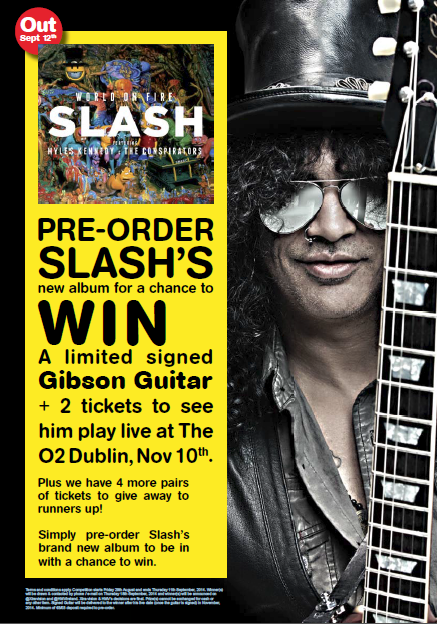 To be in with chance to win all you have to do is pre-order Slash's new album here. We also have 4 more pairs of tickets to give away to the runners up. If you have any questions, please don’t hesitate to contact our affiliate manager Keith at keith.nolan@xtra-vision.ie or by calling +353 1 4131635. WIN Gibson guitar signed by SLASH!!! Also tickets to see him play in Dublin - LAST WEEK! Thanks for all your support on making the launch of our new hmv UK website - www.hmvshop.co.uk such a success. Hope you are having a good week and enjoying the lovely weather! We are really excited about launching these fantastic codes for the summer season. Perfect for people who are planning their holidays and want to do something different! The code should be used at checkout to get % off all bookings. We look forward to hearing from you and Happy Promoting! Make sure you are ready to promote London Theatre Month, which kicks off today. 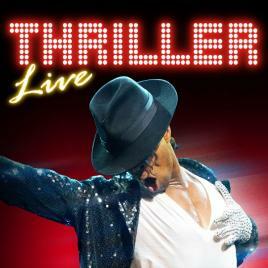 We have some fantastic tickets for leading shows available from Discount Theatrer, with 5% commission paid on all sales. 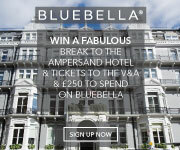 Increased Commission Incentive – 6% at UKTickets.co.uk Affiliate Programme! Starting today until the end of February, affiliates have the opportunity to earn 1% bonus. Simply promote UKTickets.co.uk and we'll pay 6% commission on any sales that are generated until the end of February. Please find below best promotions this month. Great Deals On Theatre Shows and Events For All the Family! Hurry! Cheap theatre and attractions from £15! This week at Discount Theatre - 48 Hour Sale starts 2.30pm Wednesday 25th July 2012 and must end Friday 27th July 2012 2.30pm. PLUS, DiscountTheatre.com have a BRAND NEW WEBSITE DESIGN to improve conversion and customers journey for your customers. Ghost The Musical - Save up to 41% - Hurry Offer Ends in July! Should you have any questions about the above offers or promotional opportunities for DiscountTheatre.com - Please contact the Syyco Affiliate Team. Based on the award-winning movie that captured the hearts and imagination of a generation back in the 1990’s, Ghost the Musical at the Piccadilly Theatre is a rollercoaster ride of romance, comedy, drama and excitement. Young lovers Sam and Molly are mugged on the way back to their appartment, leaving Sam murdered on a dark street. Sam is trapped as a ghost between this world and the next and unable to leave Molly who he learns is in grave danger. With the help of a phony storefront psychic, Oda Mae Brown, Sam tries to communicate with Molly in the hope of saving and protecting her. The score is by rock legends and Grammy award winners, Dave Stewart (Eurythmics) and Glen Ballard (Michael Jackson and Alanis Morrisette) and features the unforgettable Unchained Melody, forever linked with that pottery-making scene in the film. 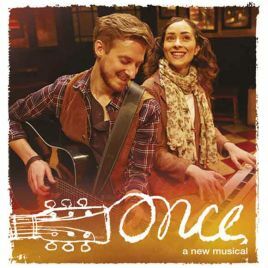 London Theatre Direct have top price tickets reduced to £40 for Monday to Friday performances to the end of August.